blog Business Tips Advertising Vs PR. What is the difference? 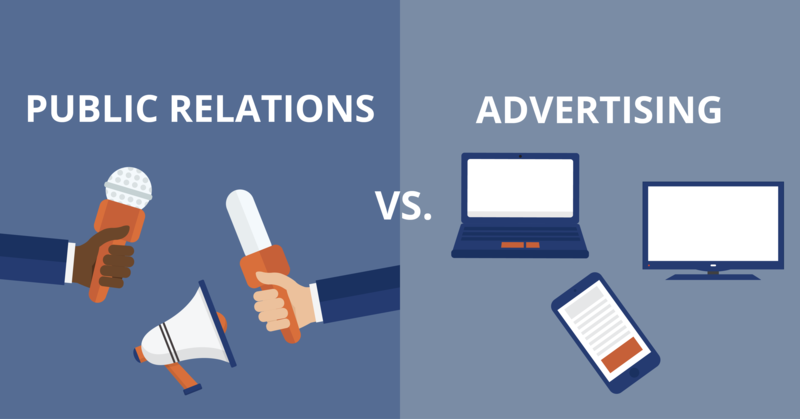 Advertising and Public Relations have the capacity to go hand-in-hand when used by companies in their attempts to achieve their business goals. They both share many similarities in that they’re often implemented into marketing campaigns, with the ultimate aim of raising a business’ profile and driving sales, and often PR professionals and advertising specialists will work in tandem to achieve these goals. However, PR and advertising are in fact two different practices. Advertising can be summed up as paid media, whereas you earn media with public relations. In this article, the two disciplines will be dissected, with a look at their differences, advantages and drawbacks, and examine when organisations would look to implement them as part of their business strategy. A discipline more widely understood in comparison to PR, advertising is described as paid, one-way communication messages designed to publicly promote or sell a product, service, or idea. Advertising encompasses many different forms and various platforms, with an ultimate goal of encouraging the target audience to purchase a product or use a particular service. Hit TV shows such as Mad Men popularised early forms of advertising, where advertising agencies creating, planning, and handling of advertising and sometimes other forms of promotion and marketing for its clients. While ad agencies are still in demand and serve a purpose, in this digital age, ad campaigns can be found in the form of social media campaigns and display advertising amongst others. Press releases are an integral part of public relations. Releases are statements in the form of a news release or statement directed at members of the news. 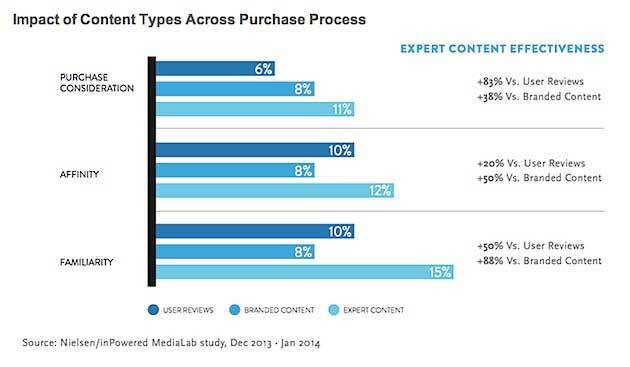 Promoting your content through this channel can be very effective, with consumers more likely to take heed of third party endorsements in contrast to paid advertisements. When it comes to advertising methods, there are two distinct methods marketers tend to employ, inbound and outbound. Inbound marketing is a strategy that has risen and become commonplace in this digital age. A technique used to draw potential customers in to products and services via numerous marketing efforts, whether through content, social media, SEO, opt-in emails or even through blogs. Inbound efforts often occur where the customers find your company when they are in need of your service or are searching for a service/product in your sector. In contrast, outbound marketing refers to more traditional avenues of marketing, one where the company begins the communication process and sends its message out to the public. Examples include radio ads, print ads in numerous publications and cold calling potential customers. Outbound practices have the potential to be seen by audiences in many places, however the cost can be quite high, with no guarantee of a profitable return as well as a difficulty in tracking the numerous campaigns and the return on their investment. Both advertising and PR tread similar ground in that their aim is to convey a message to their respective target audience. However the content of the message, as well as how much control one has over the message differs greatly. In regards to advertising, companies have creative control over every aspect relating to the advert. That includes the message of the advert, the creative element, as well as the channels that will be used to promote the advert, essentially when and where the audience will be shown the content. Essentially, companies are allowed free-reign to showcase how great they are and indulge in as much self-promotion as possible with little regulation, depending on the industry, providing said content is not offensive or harmful. In contrast, PR is a discipline where the company keen to obtain the media coverage has control over the channels they look to seek coverage in but does not control the message itself. Once a story is sent to a journalist they draft, redraft and have creative licence over the linguistic and visual choices of the content. With journalists having to adhere to guidelines and principles, it is their responsibility to present content in a certain manner. However, this lends more credibility to the brand obtaining media coverage, as the coverage is typically presented in an informative, unbiased manner as opposed to the more biased content associated with advertising. One of the biggest differences when comparing advertising with PR is the credibility and believability of the two promotional avenues. The credibility that a piece of media coverage brings far outweighs that of an advertisement, for a number of reasons. A recent Nielsen study, taking a deeper look at the role of content in the consumer decision-making process concluded that PR is roughly 'three times more effective than advertising.' This is because, whereas advertising reflects the company’s view that a potential consumer should possess an interest in their product or service because of how wonderful it is, PR takes a more balanced approach, often engaging in effective storytelling to present a problem, or gap in the market, and how the brand covered in the publication presents a unique solution. Take the example of Tiny Homes Holidays Ltd. A boutique retreat of ‘Tiny Home’ cabins located on the Isle of Wight, the ethos of the company is founded on simple living in a small energy efficient space where each home is solar powered. They saw a gap in the market for individuals wanting to live a simple life, away from the non-stop consumer driven world. Acknowledging the capabilities of PR, and that for their business, they used the JournoLink platform to respond to relevant media requests and received good press coverage when replying to these requests – most notably a piece in Woman and Home magazine that generated interest and bookings. The cost difference of the two disciplines is dependent on numerous factors, but typically, advertising costs dwarf those of PR campaigns. Advertisements are essentially paid media that span a specific time period in order to achieve the business’ pre-planned objectives. For instance a Facebook Ad campaign with an allocated budget designed to send traffic to a web page would cease once the budget has been spent, while purchasing a full page spread in a magazine would cost a lot, with the cost needing to cover the space, duration of coverage as well as creative designs. Typically, most advertisements need to be shown to their intended audience several times before the consumer takes notice and is influenced by the content. In contrast, media coverage obtained through PR campaigns is typically published once, and not re-used like advertisements. However in this digital age and with the rise of social media, the positive effects press coverage brings can be elongated when shared and published strategically on numerous social media platforms, in email campaigns and when shared by your audience, whether on social platforms or through word of mouth. PR is often seen as too complex and too expensive for a small business, preferring to spend their budget on marketing campaigns. In truth, it is the reverse. PR is easier and cheaper than advertising, and much more effective. Which is why the best businesses make full use of it as part of their overall marketing plan.